Following the announcement of their biggest lineup to date, War Child BRITs Week Together with O2 today announce that the one and only Melanie C will be supporting Jess Glynne for her show at O2 Shepherd’s Bush Empire on Monday February 18th. 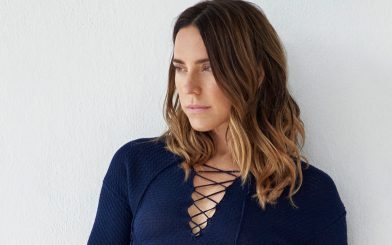 Having risen to global superstardom in the 90’s with Spice Girls, Melanie C, aka Sporty Spice, has enjoyed a stellar solo career, releasing 7 studio albums to date. From her triple platinum selling debut Northern Star to 2016’s Version of Me, she has sold over 20 million records and been nominated for a BRIT, Ivor Novello and Laurence Olivier Award. The night is a rare opportunity to see Melanie in an intimate setting before she and Spice Girls embark on a sold-out nationwide stadium tour this summer. She joins Grammy Award winner Jess Glynne, who this year became the first British female solo artist to land 7 #1 singles, for what is set to be a huge night for British pop. Jess Glynne will also be joining Mel C on the road this year for the Spice Girls six-date UK tour this summer. War Child BRITs Week Together with O2 gives fans the opportunity to see the biggest names in music in intimate venues across London – all whilst raising money for children whose lives have been torn apart by war. War Child UK raised an estimated £650,000 through BRITs Week shows last year, a significant increase year on year by the organisation. BRITs Week is produced by AEG Presents, BPI and War Child, the charity for children affected by conflict, together with O2. Also performing will be International chart toppers and BRIT award winning The 1975, 2018’s biggest-selling UK debut artist, Anne-Marie, critically acclaimed BRIT nominee Jake Bugg with rising star Jade Bird, heartfelt rock band You Me At Six, Critics’ Choice nominee 2018 Mabel and quick-witted London rapper AJ Tracey. Plus, revered singer-songwriter Frank Turner will be DJing and curating a night with Xtra Mile Recordings featuring Johnny Lloyd and their most exciting talent. Fans will also be given a rare opportunity to catch Bristol rock band IDLES who had a top 5 UK album in 2018, renowned singer-songwriter Nick Mulvey, the potent combination of alternative-rock and electronic soundscapes from Enter Shikari, acclaimed British DJ and broadcaster DJ Semtex, Ivor Novello winning songwriter Tom Odell and festival headliners Bring Me The Horizon.